GIVEAWAY: Bird is the word have you heard? This is just a little fun giveaway I'm doing via Twitter to make things fun and interesting online. As you know I've been known to give a few things away via Twitter and this is my way of entertaining my followers and keeping you engaged. I've given away gift certificates, laptops and free hugs and much more so why not continue it's more fun like that right? I'm going to keep this simple. 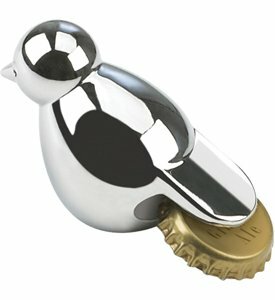 I want you to refer someone on Twitter and tell me why he/she should WIN one of these bird bottle openers. You can recommend a friend or a complete stranger on Twitter. Give me a reason why you pick that person and you both can WIN. This is a unique way to share in the fun with your followers on Twitter. If this contest is successful I will continue to giveaway more prizes in future. Strut for a Good Cause. Slingback Cocktail: Maker's Mark Bourbon with apple, peach and lime juice. Blistered Stilletto: Maker's Mark Bourbon with vermouth, spiced syrup garnished with a flamed orange zest as pictured above. The food being served included canapes such as Chorizo & Manchego pizzettes pictured above, duck proscuitto with Waldarf salad in a shrimp chip, and shoe string frites in lemon aioli. The frites were my favourite of the night. The primary purpose of the evening was to bring awareness and to promote an upcoming event "Walk a Mile in Her Shoes". This event is organized by the White Ribbon Campaign. You can create a team and you are asked to wear a pair of high heels and walk a mile. 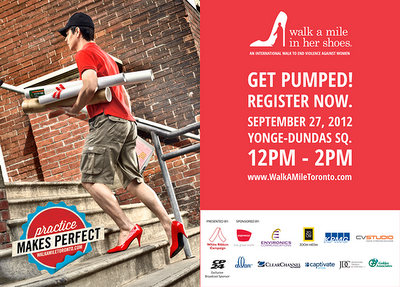 I had the opportunity to put on a pair of heels and it did feel awkward but it's all for a good cause. It didn't help that I had polka dot socks on either but i digress. I hope you can join them in this great charity event in Toronto. Enter to WIN a Toshiba Ultrabook. It's a busy end to the summer here at ClickFlick.ca and I hope you all enjoyed the summer. In partnership with Intel Canada, I'm happy to introduce the Toshiba Portege Z830 Ultrabook. In three words it's thin, sleek and beautiful. I'm a previous owner of a macbook and have an HP laptop but the Toshiba Ultrabook is the smallest and lightest laptop i've seen. I'll give you the most basic and non-technical explanation of this Ultrabook. This Ultrabook has an extended battery life of up to 8 hrs. It has an SD card slot for easy transfer of pictures/videos. It has 3 USB ports. A headphone and microphone jack. It also has an HDMI port for connecting to your TV. It has a ethernet port for connecting to internet via cable. That is the simple and basics of this Ultrabook. If you want to see the more technical aspects of this laptop you can check at Toshiba website. The Ultrabook is so small that it fits inside nicely within another Intel laptop as seen below. The thickness of the Ultrabook is almost the same thickness of an iphone to give you perspective. This laptop is really good for someone on the go. If you are like a blogger on the move from one event to another or a student looking for portability this is your laptop. Your text books probably way more than this laptop. I also like the Intel technology of this laptop more specifically the fingerprint scan on the touchpad. Instead of entering passwords just scan your finger on the keypad area for access to websites. I'm giving away 1 Toshiba Ultrabook Z830 to one of my followers on Twitter. To ENTER you must be following @Clickflickca and @IntelCanada on Twitter. You also must add the hashtag #IntelCANUltrabook to the tweet. Copy and Paste into Raffelcopter below. One entry per day only. This contest is limited to Canadians only. The winner will be selected randomly on Friday September 21st. 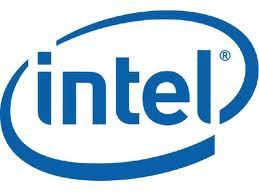 a Rafflecopter giveaway *Disclosure: This post is sponsored by Intel Canada. I will receive compensation for this post but all opinions are my own. Purolator has teamed up with the Toronto Argos for the last 10 years to help support the Daily Bread Food Bank. At the upcoming game on Sept 8th we encourage you to bring non-perishable food item or cash donation to the Purolator volunteers at the stadium gates. In return fans will get a chance to enter a draw to WIN 2 tickets to the already SOLD OUT 100th Grey Cup game to be played in Toronto at the Rogers Centre. For more specific details on Purolator's Tackle Hunger campaign you can visit them on Twitter at @PurolatorTH or on Facebook or visit the CFL for more details. On that note, let's spread the word and all try to put an effort through "Social Good" at the same time giving you a chance to WIN a pair of tickets to the Sept. 8th Argo game. I will select a WINNER on Sept 6th. Open to Toronto and GTA area residents only.